In Book Two of the Mack and Carly Adventure Series, the couple faces more danger and intrigue from their relentless pursuers. 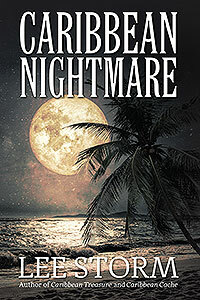 They find themselves again fighting for survival against desperate pirates and ruthless drug smugglers thousands of miles from friends and civilization. 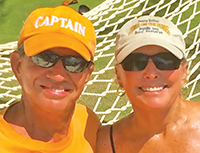 The serenity of sailing through the Mediterranean and excitement of exploring the ancient ruins of Egypt are short-lived as fate brings their dream of sailing around the world crashing down around them. 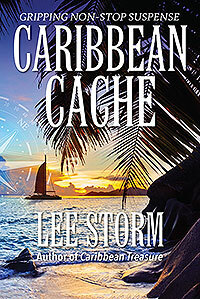 The cache of gold, diamonds and money they buried on the tiny Caribbean island is their only lifeline if they can escape and return to the idyllic life on the tranquil island of Dominica. 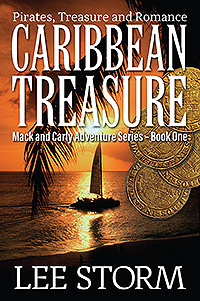 The author and his wife sailed throughout the Caribbean for several years and later explored the locales of this novel in the Mediterranean and Africa. This book and the two companion books that comprise the trilogy blend true-to-life experiences with fantasy and fiction of what might have been.